Three students from Barnsley Sixth Form College’s Debating Society were award winners at this year’s Model UN simulated debate at the University of Sheffield. 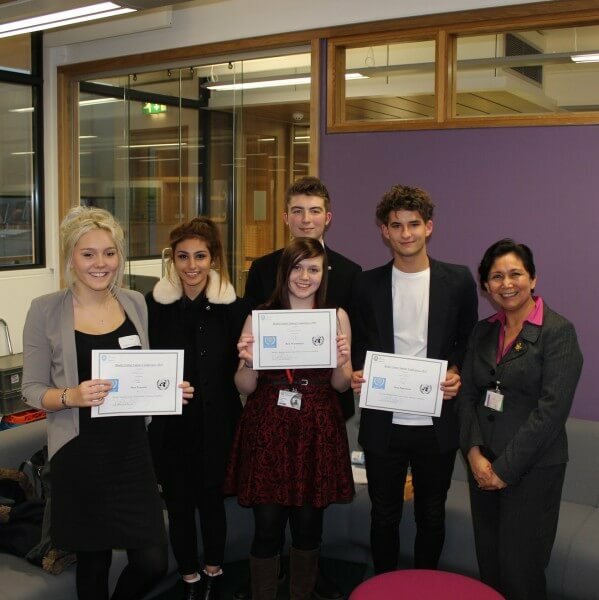 Joined by students from colleges around the region, A Level students Liam Bailey, Jake Fleetwood , Codie Lewis, Eleanor Holmes and Niloofar Baziyar attended the debating event where they were split into teams and set research tasks before debating current issues, such as world debt and nuclear weapons. Barnsley students won three prizes with Best War Monger being awarded to Eleanor Holmes, Best Diplomat awarded to Codie Lewis and Best Calm Delegate to Liam Bailey.